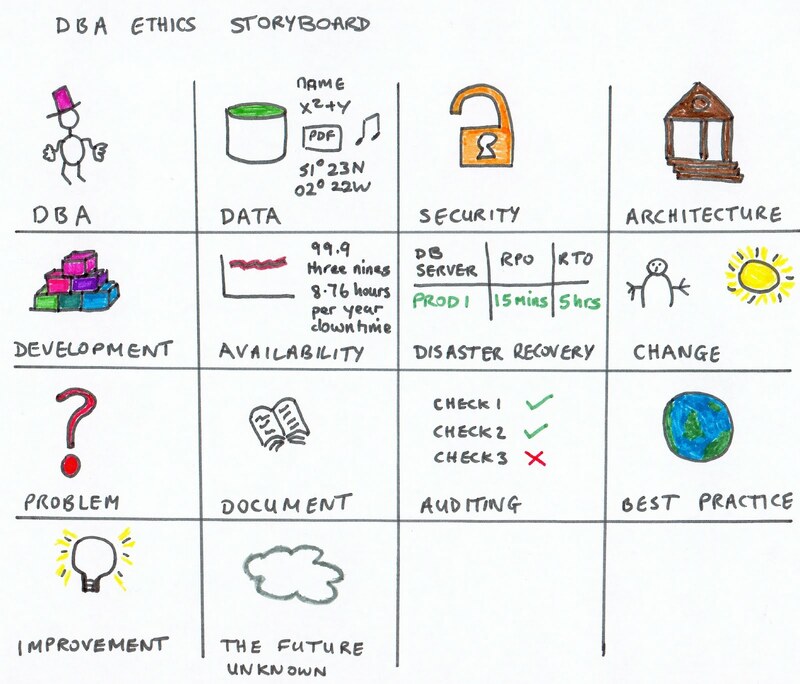 This article provides a reflection on the ethics required by a database administrator (DBA). This philosophical code of behaviour sets out the principles for the profession. 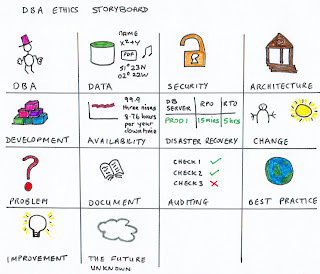 The DBA ethics storyboard is a visualization of the ethics and is shown in figure1. • every database has a documented disaster recovery plan. • follow processes for management.